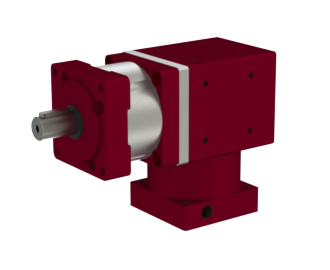 The HY series hypoid gearboxes offer a high gear ratio in a small footprint. 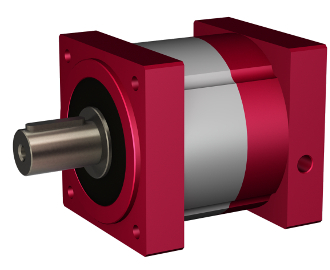 Hypoid gearing is more efficient than a worm drive and quieter than a bevel set. 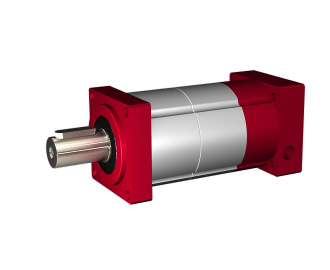 The HY-070 motor-gearbox assembly is available in both 5:1 and 10:1 ratios. 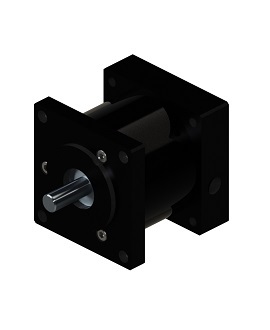 The HY series hypoid gearboxes offer a high gear ratio in a small footprint. 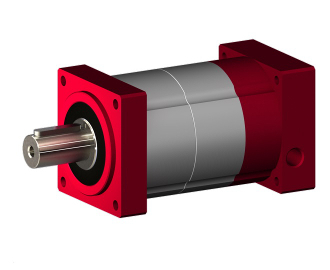 Hypoid gearing is more efficient than a worm drive and quieter than a bevel set. 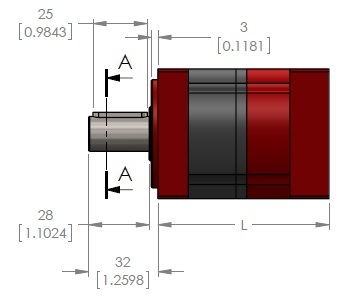 The HY-090 comes in a 10:1 ratio. 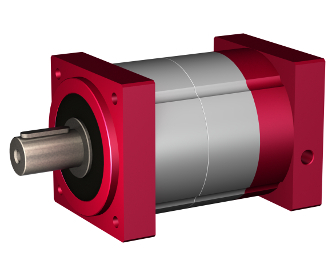 Right angle gearbox with inline planetary stage. Available in 42, 60, and 90mm frame sizes. 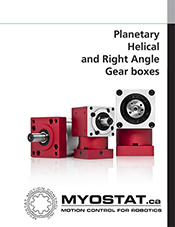 Myostat's 2017 servo gear catalog now includes the low cost, high volume EL gearboxes with sintered spur gears, and the high performance helical cut Z series planetary gearboxes. Planetary spur systems range in size from 32mm to 90mm squre. 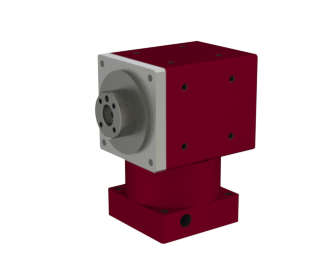 Helical sour systems range in size from 60mm to 140mm, with standard robot flange output options. 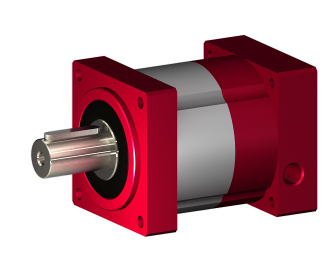 The R series right angle gear box employs modern design and mechanical traits such as helical gears and dual bearing supports in a versatile and affordable package. 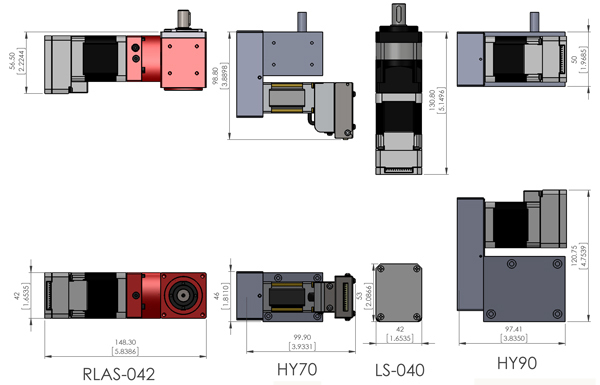 Frame sizes range from 42 mm to 90 mm with a diverse range of output styles sure to fit your next machine. 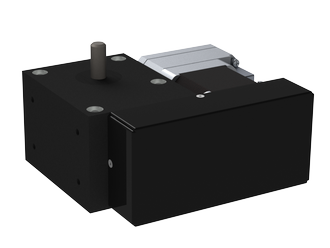 Myostat gear boxes are available in a range of sizes to fit most standard stepper and servo motors, with output variations to match your existing mechanical interfaces. 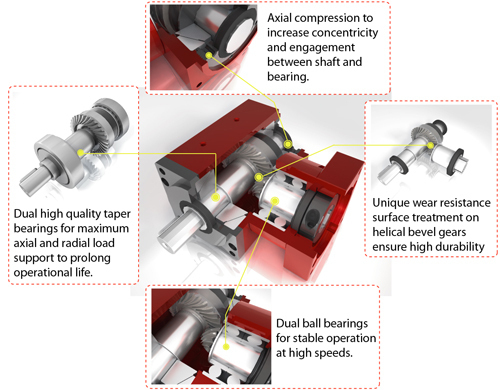 Contact Myostat Motion Control today for a solution that works. 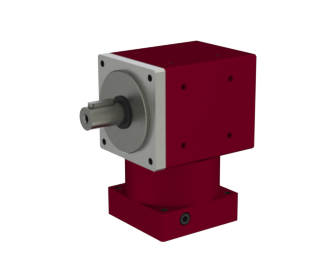 Myostat offers a wide range of gear box configurations, giving you the best fit solution for your machine design. 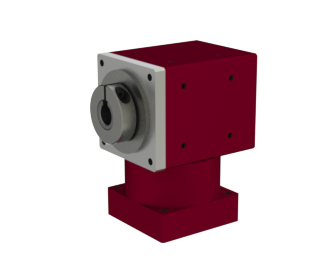 The HY gear boxes from KG Gear offer a uniqe high ratio right angle solution for tight spaces. 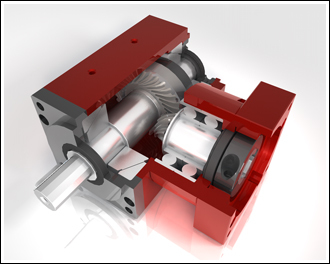 The HY gear box is available in 5:1 and 10:1 ratios. 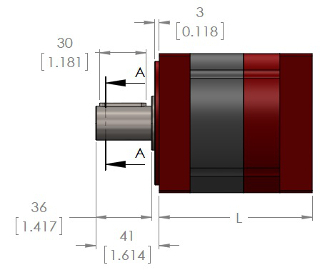 Additional gearing can be added in the motor mount to increase this to 20:1. 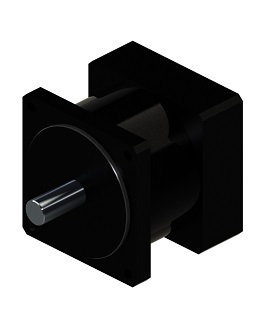 Myostat offers the HY series with option motor mounts and motors as a complete sub-assembly. 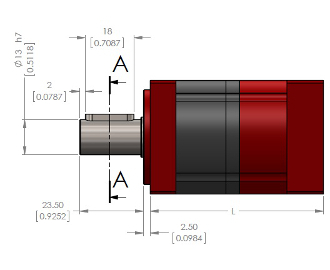 View the specification sheet and drawings. 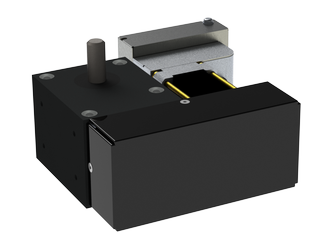 Contact Myostat Motion Control for further information and to place an order. Myostat is pleased to release the complied 2017 Gear Catalog, containing our old favourites and new additions. 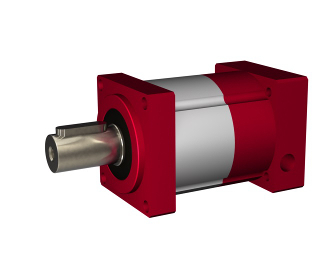 Of particular interest are the new high volume, low cost EL planetary gearboxes with sintered gears, and the new Helical Inline gearboxes that include a robotic flange style. The team from Myostat Motion Control will be manning the booth at the Vancouver DEX show this May 6th in Coquitlam.